Will do. Have a call scheduled. Below is an email request from the USNRC-HQ PMT (Bruce Watson) re: an updated source term request from NARAC’s John Nasstrom. Please reply directly to Mr. Nasstrom. Can you ask (Randy Gauntt) the Sandia representative, to contact John Nasstrom at NARAC, email listed below or phone: 925-423-6738. 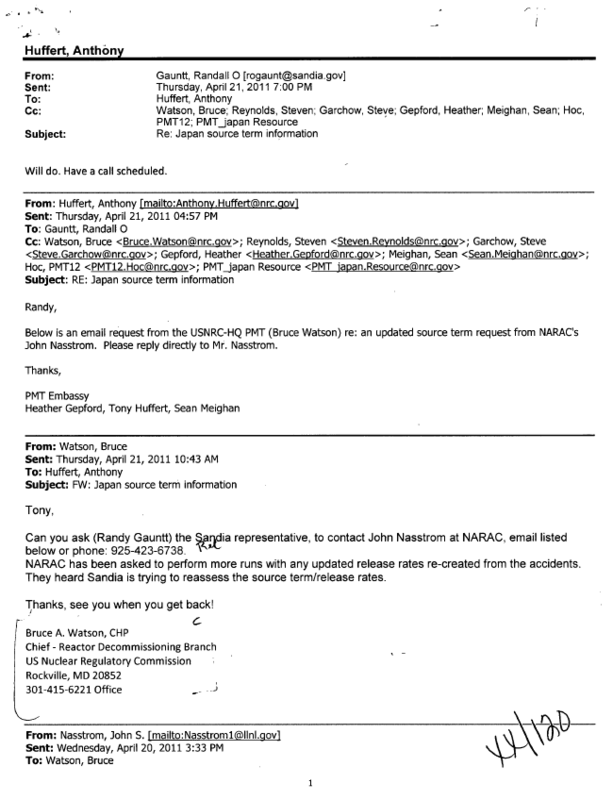 NARAC has been asked to perform more runs with any updated release rates re-created from the accidents. They heard Sandia is trying to reassess the source term/release rates. Thanks, see you when you get back! Thanks Bruce. Do you have an email and phone number for Randy? Just found out the Sandia contact in Japan is Randy Gauntt. It was not made clear what he was working on and is expected to complete the in country work this week. Attached is the Japan press release with their source term estimates for Fukushima. 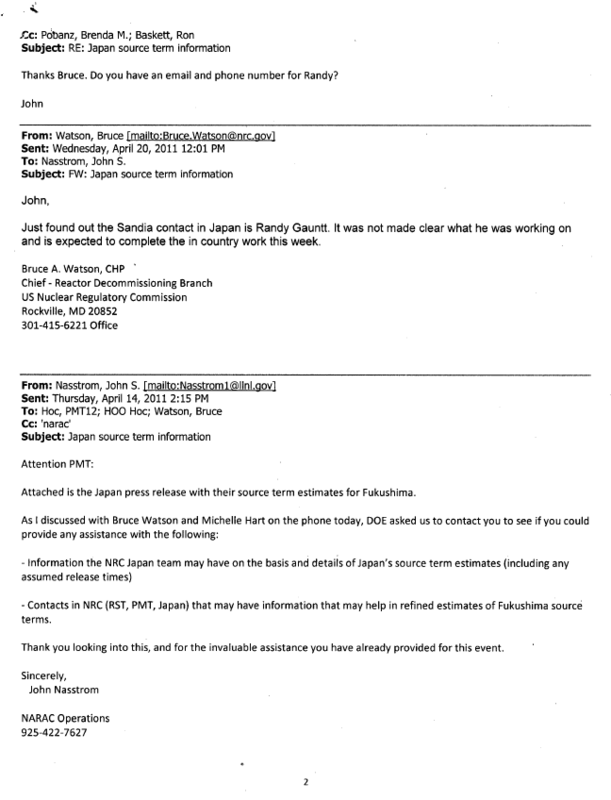 – Contacts in NRC (RST, PMT, Japan) that may have information that may help in refined estimates of Fukushima source terms. Thank you looking into this, and for the invaluable assistance you have already provided for this event.